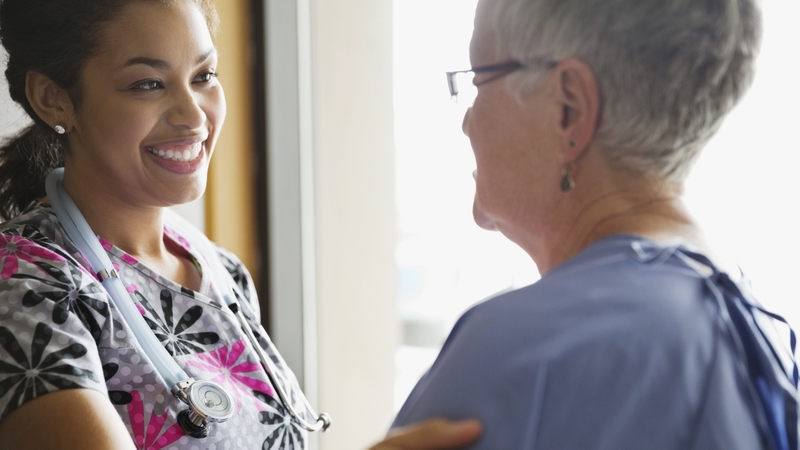 Compassionate care may be the best medicine, a study suggests. Researchers at Stanford University’s Center for Compassion and Altruism Research and Education found that when health care workers approach patients with compassion and kindness, those receiving the care often healed faster and felt less pain and anxiety. While medicine has the power to cure, how the care is delivered can have a powerful effect on the patient and the caregiver. Putting patients at the center of their health care journey is critical to ensuring they have the best outcome possible, according to Amy Vance, senior vice president of population health and value-based care at Novant Health. Novant Health team members train to deliver compassionate care. Nursing team members receive training called Compassionate Connected Care (C3), a model that focuses on addressing unmet patient needs. The emphasis is on allowing doctors and nurses to have the time to build personalized relationships with patients. Part of the nursing transformation permits nurses to have more time to spend on direct patient care. The care of the patient may start with the provider, but it is supported by an entire team. The provider leads the care team, providing that immediate medical, physical and emotional support while with the patient, as well as developing and managing the patient’s treatment plan. The team of professional caregivers supporting the provider includes nurses for clinical support, or patient teaching, particularly with patients suffering from chronic conditions such as diabetes, chronic obstructive pulmonary disease , congestive heart failure or multiple illnesses. Pharmacists, social workers, dietitians and referral coordinators also round out the care team, creating a comprehensive support for the patient. Novant Health’s team-based approach allows a patient to experience continuity of care. The Stanford study, which was released in 2014, found that patients who felt a greater connection with their care provider were more likely to follow through with their care plan. Novant Health takes this a step further by connecting discharged patients with care coordinators. Those coordinators will call and email patients to see if they understand their care plan or have questions. The coordinators can teach the patient about ways to avoid infection, direct them to available resources, evaluate their progress and potential adverse effects and determine if the patient is taking prescribed medications. By not overlooking the human touch, Novant Health team members aim to deliver speedy recoveries and healthy outcomes.